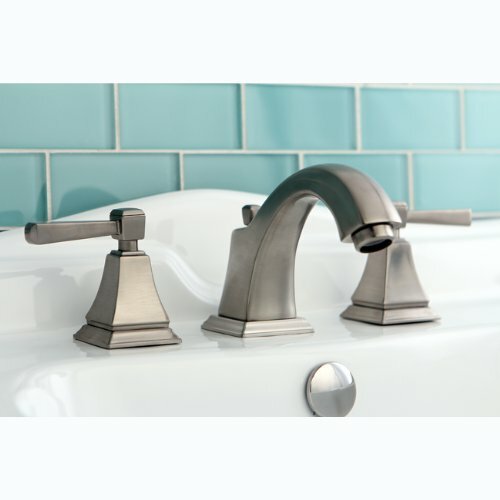 Descriptions:The Kingston Brass Monarch Widespread Lavatory faucet in Satin Nickel features 2 obelisk lever handles and a high-arc spout. The neo-classical styling will complement any bathroom with transitional d?or. The faucet is constructed from high quality brass, includes pop-up drain and a ceramic disc cartridge for long-lasting performance.